Though it may seem formulaic – and, well, it is – the idea behind this structure is to make it easier for the reader to navigate the ideas put forth in an essay. 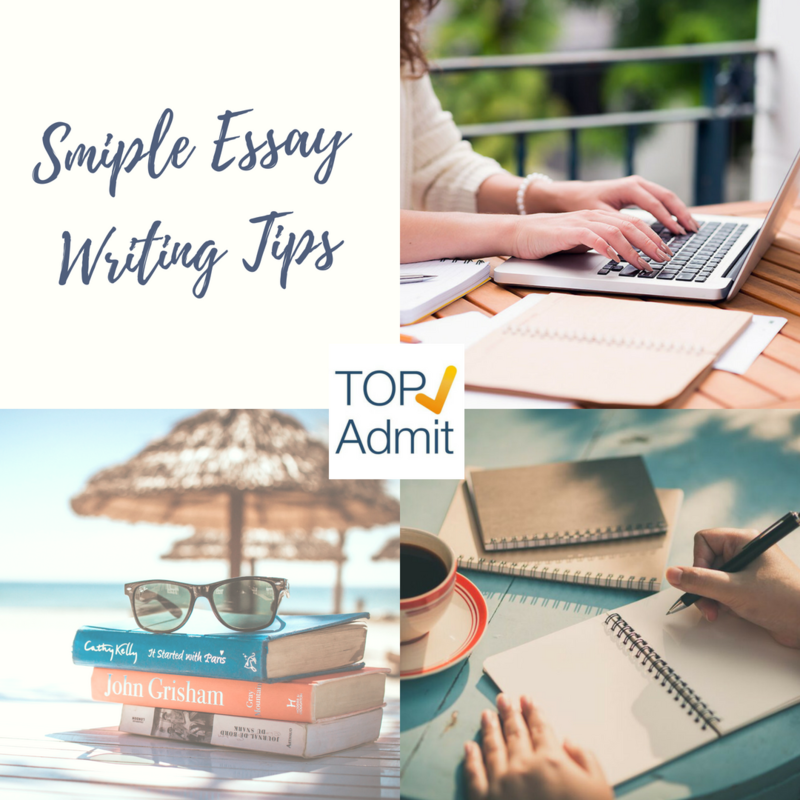 You see, if your essay has the same structure as every other one, any reader should be able to quickly and easily find the information most relevant to them. The principle purpose of the introduction is to present your position (this is also known as the “thesis” or “argument”) on the issue at hand but effective introductory paragraphs are so much more than that. Before you even get to this thesis statement, for example, the essay should begin with a “hook” that grabs the reader’s attention and makes them want to read on. Examples of effective hooks include relevant quotations (“no man is an island”) or surprising statistics (“three out of four doctors report that…”). Only then, with the reader’s attention “hooked,” should you move on to the thesis. The thesis should be a clear, one-sentence explanation of your position that leaves no doubt in the reader’s mind about which side you are on from the beginning of your essay. “No man is an island” and, as such, he is constantly shaped and influenced by his experiences. People learn by doing and, accordingly, learn considerably more from their mistakes than their success. For proof of this, consider examples from both science and everyday experience. Active voice, wherein the subjects direct actions rather than let the actions “happen to” them – “he scored a 97%” instead of “he was given a 97%” – is a much more powerful and attention-grabbing way to write. At the same time, unless it is a personal narrative, avoid personal pronouns like I, My, or Me. Try instead to be more general and you will have your reader hooked. A one sentence body paragraph that simply cites the example of “George Washington” or “LeBron James” is not enough, however. No, following this an effective essay will follow up on this topic sentence by explaining to the reader, in detail, who or what an example is and, more importantly, why that example is relevant. Take, by way of example, Thomas Edison. The famed American inventor rose to prominence in the late 19th century because of his successes, yes, but even he felt that these successes were the result of his many failures. He did not succeed in his work on one of his most famous inventions, the lightbulb, on his first try nor even on his hundred and first try. In fact, it took him more than 1,000 attempts to make the first incandescent bulb but, along the way, he learned quite a deal. As he himself said, “I did not fail a thousand times but instead succeeded in finding a thousand ways it would not work.” Thus Edison demonstrated both in thought and action how instructive mistakes can be. The first sentence – the topic sentence – of your body paragraphs needs to have a lot individual pieces to be truly effective. Not only should it open with a transition that signals the change from one idea to the next but also it should (ideally) also have a common thread which ties all of the body paragraphs together. For example, if you used “first” in the first body paragraph then you should used “secondly” in the second or “on the one hand” and “on the other hand” accordingly. You may have noticed that, though the above paragraph aligns pretty closely with the provided outline, there is one large exception: the first few words. These words are example of a transitional phrase – others include “furthermore,” “moreover,” but also “by contrast” and “on the other hand” – and are the hallmark of good writing. In a similar way, we are all like Edison in our own way. Whenever we learn a new skill – be it riding a bike, driving a car, or cooking a cake – we learn from our mistakes. Few, if any, are ready to go from training wheels to a marathon in a single day but these early experiences (these so-called mistakes) can help us improve our performance over time. You cannot make a cake without breaking a few eggs and, likewise, we learn by doing and doing inevitably means making mistakes. Effective conclusions open with a concluding transition (“in conclusion,” “in the end,” etc.) and an allusion to the “hook” used in the introductory paragraph. After that you should immediately provide a restatement of your thesis statement. Having done all of that, the final element – and final sentence in your essay – should be a “global statement” or “call to action” that gives the reader signals that the discussion has come to an end. The conclusion paragraph can be a difficult paragraph to write effectively but, as it is your last chance to convince or otherwise impress the reader, it is worth investing some time in. Take this opportunity to restate your thesis with confidence; if you present your argument as “obvious” then the reader might just do the same. - A preview of the three subtopics you will discuss in the body paragraphs. - Concluding Transition, Reverse “hook,” and restatement of thesis. - Rephrasing main topic and subtopics. - Global statement or call to action. If you are asked about “money,” you could try “wealth” or “riches.” At the same time, avoid beginning sentences the dull pattern of “subject + verb + direct object.” Although examples of this are harder to give, consider our writing throughout this article as one big example of sentence structure variety.